Looking for an effective treatment for your acne? Buy Zineryt lotion online from The Independent Pharmacy Online Doctor following a free online consultation. Zineryt contains erythromycin and zinc acetate to help kill the bacteria that are root cause of acne. Zineryt lotion is a topical antibiotic for the treatment of moderate acne. It contains erythromycin and zinc acetate to help kill the bacteria that frequently cause acne and clear up acne in 10-12 weeks. Zineryt lotion is available from The Independent Pharmacy Online Doctor following a free consultation. What is Zineryt used for? Zineryt lotion is available to purchase using our Online Doctor service, following a free consultation, to help to treat all kinds of acne, including hormonal and cystic acne. To find out more about acne and see all the available treatments, see our Acne page. Zineryt solution is a prescription only medicine (POM) used to treat the symptoms of acne vulgaris. It cannot be bought over the counter. Acne symptoms will present as blackheads and whiteheads, which are often referred to as spots or pimples. Zineryt solution contains two active ingredients, erythromycin and zinc acetate. Zineryt is manufactured by Astellas Pharma. Once the solution has been prepared, it can be applied using the pad dispenser provided. Zineryt solution attacks the bacteria associated with acne (Propionibacterium). This common bacteria feeds on the sebum produced by the skin in the sebaceous glands. This feeding causes the bacteria to produce waste products and fatty acids that irritate the sebaceous glands, causing them to become infected and inflamed. This results in acne. Erythromycin contained in Zineryt solution is an antibiotic and works to inhibit propionibacterium’s ability to produce proteins that are essential for their production. This action stops the spread of the infection, reducing the inflammation of the sebaceous glands and allowing the skin to heal naturally. Any remaining bacteria are killed by the immune system or eventually die. Zineryt solution also contain zinc acetate. Zinc is renowned for having skin-healing properties and in an acetate form it effectively combines with erythromycin to form a chemical complex. This chemical complex is designed to be efficiently absorbed by the skin. Zineryt solution is for external use only and is suitable for the treatment of mild to moderate acne. 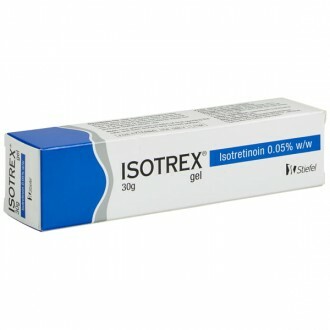 To obtain the best results it is recommended the solution be applied over a period of 10-12 weeks. Zineryt lotion is a good option for those wishing to treat their acne using antibiotics that do not want to take oral tablets due to interactions with their current medicines or side effects. Using Zineryt cream, you can get all the benefits of antibiotic treatment without any of the possible negatives associated with the oral antibiotics. While Zineryt has the power to reduce most inflammatory acne in a relatively short amount of time, as well as minimising redness, some find their skin becomes dry as a result of the erythromycin. Therefore, it’s worth keeping a light, oil-free moisturiser handy if you are currently using Zineryt lotion to alleviate some of the dryness. You should avoid getting Zineryt lotion in your eyes, nose or mouth, but if you do, wash the area quickly and thoroughly with lukewarm water. If the eyes continue to become irritated, consult your doctor. 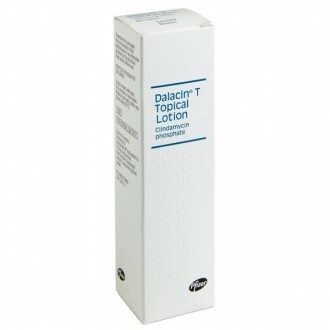 Dalacin T is an antibiotic acne treatment that contains the active ingredient clindamycin phosphate, in contrast to Zineryt, which contains erythromycin and zinc acetate. Both work by preventing acne-causing bacteria from producing proteins that are essential to them. Dalacin-T and Zineryt are very similar treatments. Differin gel (or cream) contains the active ingredient adapalene, a form of vitamin A that reduces the growth of pore-blocking keratin cells. As such, it works slightly differently to Zineryt. 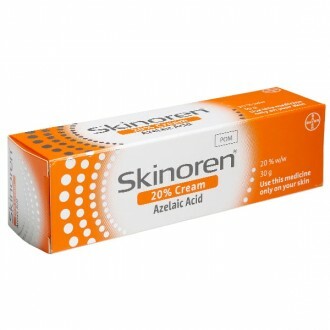 Differin gel also aids the skin’s natural exfoliation and is usually prescribed for mild acne. 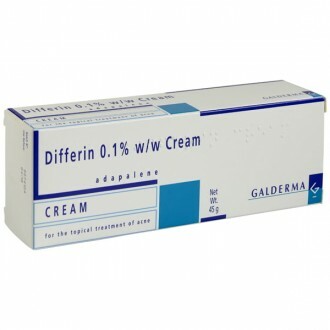 Zineryt and Differin can be used together for additive effects in moderate to severe acne. 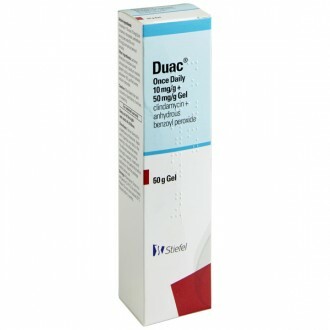 Duac gel is a topical antibiotic containing clindamycin and benzoyl peroxide. Similarly to Zineryt, it’s a good choice for those who cannot take, or do not like to take, oral antibiotics. Zineryt is an antibiotic lotion whereas Duac contains an antibiotic and a drying agent, this means Duac can dry the skin more than Zineryt. Zineryt lotion should be applied all over the affected area, not just to the individual spots. It should be applied twice a day (morning and evening), unless side effects are experienced at the beginning of treatment where it can be reduced to once daily and increased after a week. Treatment with Zineryt is normally around 10 - 12 weeks. Remove the caps from both the powder and the solution bottles, retaining the cap of the larger powder bottle. Pour the contents of the solution bottle into the powder bottle. Recap the bottle using the retained powder bottle cap. Immediately shake the mixture vigorously for one minute. Remove and retain the cap from the thoroughly mixed solution. Open the plastic holder containing the dabbing applicator cap assembly. Use the plastic holder to position the applicator cap over the neck of the freshly mixed bottle. Firmly push the applicator assembly into the neck of the bottle, ensuring the dabbing applicator fits firmly into the neck of the bottle. Replace the retained powder cap over the dabbing applicator on the now constituted solution. Add the “Use Before” date to the bottle label; this date will be 8 weeks from the date of preparation. Ensure you read the patient information leaflet prior to use. If you forget to use Zineryt you should use it as soon as you remember as a missed application can slow down your acne healing. If your next application is due soon, leave at least 3 hours before you re-apply it. If you apply too much Zineryt, blot the excess off wiht some tissue paper. If you need to apply make up when using Zineryt, ensure the application has completely dried before you apply any cosmetics. Remember that make up can contribute to clogged pores and therefore help to cause acne so it should be avoided where possible. Zineryt lotion can cause some mild side effects in some poeple. They do not affect everyone and occur most frequently at the start of treatment as your skin adapts. The most common side effects are temporary stinging or redness in the area where treatment is applied. It is possible for Zineryt lotion to cause allergic reactions in very rare cases. If an allergic reaction occurs, you will experience symptoms including rash, itching, swelling of the face, mouth, tongue or lips, and difficulty breathing. In the case of any of these symptoms you should see you doctor immediately. Zineryt solution contains the active ingredients erythromycin 40mg/ml and zinc acetate (12mg/ml). It also contains diisopropyl sebacate and ethanol. 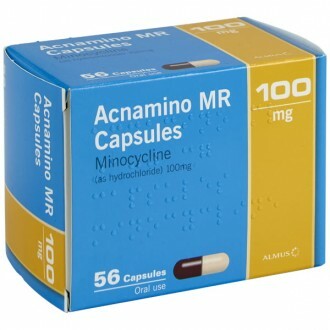 are allergic to erythromycin or any of the macrolide antibiotics. are allergic to any of the other ingredients in Zineryt. What does Zineryt Lotion contain? 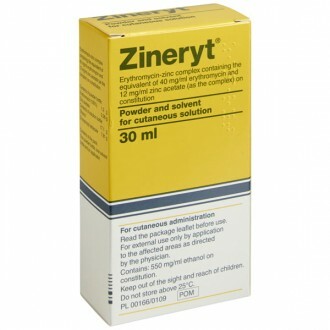 Zineryt Lotion contains erythromycin (40mg/mL) and Zinc Acetate (12mg/mL). Erythromycin is an antibiotic that helps to reduce the number of acne-causing bacteria living on the skin, whilst Zinc Acetate helps the skin to contract and heal. How do I use Zineryt? In adults and children 18 years and over, you should make up the lotion and apply Zineryt to the affected areas of acne twice daily. You should cover the whole affected area, not just the individual spots. If you find that Zineryt causes irritation to your skin initially, reduce the applications to once daily until the irritation passes and then slowly increase back to twice daily applications. The normal treatment time with Zineryt is around 12 weeks. Can I use other acne treatments with Zineryt Lotion? 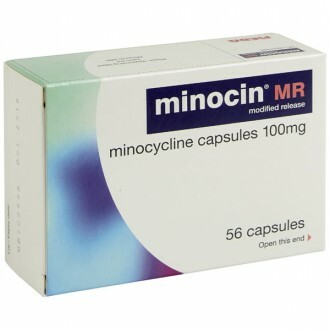 You should not combine Zineryt with antibiotic acne treatments such as Tetralysal (lymecycline), Minocin (minocycline) or Erythromycin tablets. Zineryt can be used with other acne creams (such as those containg benzoyl peroxide), however this is not usually necessary. I have started using Zineryt Lotion and the treated area is red and irritated, is this normal? Redness and irritation of the treated area can occur when you use Zineryt for the first time. This is not usually serious and normally subsides within a week. During this time reduce the frequency of Zineryt application to once daily to allow your skin to recover and then slowly build up to using it twice daily. Why can I only buy three packs of Zineryt online at one time? Zineryt is an prescription-only acne treatment. 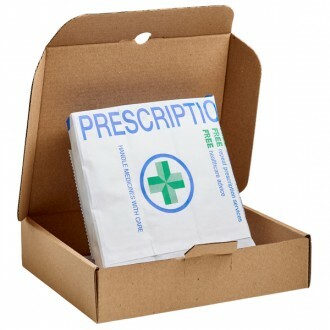 For that reason, to ensure the safety of our patients and the legal operating of our pharmacy, we only supply a maximum of 3 packs of treatment at one time. Zineryt treatment is normally only for a period of 8-12 weeks. This means that you should have enough to last you for the recommended treatment period. If you require further supplies you can always contact one of our medical team directly. Is Zineryt available for next day delivery? Yes, we understand that sometimes you want to get your treatment as soon as possible. If ordered before 4pm Monday to Friday, Zineryt Lotion is available for next day delivery. Is it safe to buy Zineryt online? Yes, as long as you are buying from a website that is a legally operating and regulated pharmacy it is perfectly safe to buy Zineryt online. The Independent Pharmacy is an NHS Online Pharmacy based in Bristol and has all the necessary regulation to be able to safely provide convenient access to genuine prescription acne treatments through our Online Pharmacy & Online Doctor. How do I buy Zineryt online? It simple! Just select 'Start Consultation' above, you will need to fill in a simple health questionnaire so our GPs & Pharmacists can ensure it is safe for us to supply your Zineryt to you. It all takes around 3 minutes and your treatment can be delivered to your door. You cannot buy Zineryt over the counter without prescription. How long does it take for Zineryt to have an effect? Zineryt is normally used for a minimum of 10-12 weeks to treat acne. After this period you should be able to tell if it has helped to improve your skin and then make a decision as to whether they should be continued or not. Short courses of Zineryt for fewer than 10 weeks are usually less effective and is unlikely to give you an accurate picture of whether it will be an effective treatment to clear up your acne. Does Zineryt help with skin redness? Zineryt can temporarily worsen redness on your skin. However, after the course of treatment, the overall reduction in acne could lead to real improvements in redness over time. 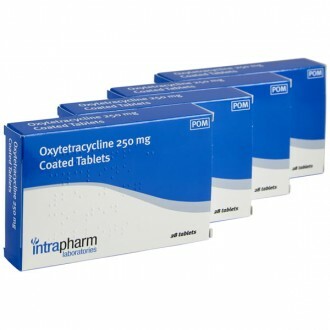 Zineryt contains an antibiotic, erythromycin. Acne is often caused by the bacteria that naturally live on your skin overgrowing and creating by-products that build up and block pores. These blocked pores over time turn into spots and hence acne. Erythromycin helps to keep the levels of bacteria living on your skin under control which helps to unclog your pores and clear up the symptoms of acne. Can I use other acne treatments with Zineryt? You can combine Zineryt with creams such as containing benzoyl peroxide (Epiduo, Quinoderm & Panoxyl) or azelaic acid (Skinoren), although this is not usually necessary. Zineryt should not be taken with any other products containing antibiotics such as lymecycline, tetracycline or minocycline. 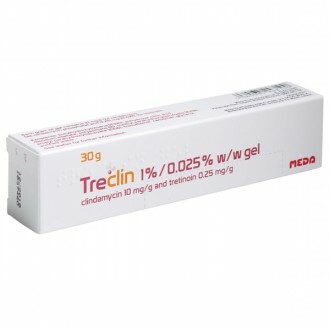 Generally Zineryt is not used with any other acne antibitoic treatment as they have a similar method of action and usually do not provide any additional benefit. Simultaneous use of multiple acne antibiotics may also increase the risk of experiencing side effects. How severe should my acne be to use Zineryt? Zineryt should be used to treat moderate to severe acne on the face, neck, shoulders or back. Moderate acne is defined by NHS Choices as where there are multiple papules and pustules (red spots and whiteheads) that are mostly confined to the face. 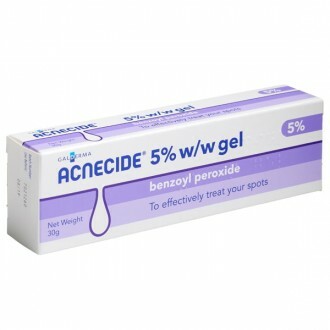 If this describes your acne, or it is more severe, Zineryt may be a suitable treatment for your acne. Does Zineryt affect the contraceptive pill? Using Zineryt should not affect the contraceptive pill. Does drinking alcohol affect Zineryt? Zineryt treatment is unlikely to be affected by alcohol consumption. You should be aware that high levels of alcohol consumption may not be good for the health of your skin and may make acne symptoms worse. What if Zineryt lotion doesn't work? If Zineryt treatment is ineffective on your acne, there are many other options for you to try. 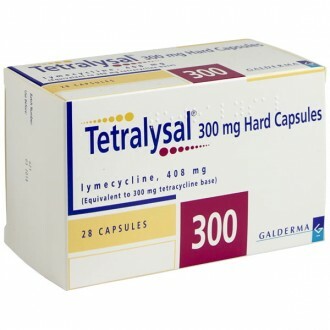 You may wish to try a different antibiotic treatment such as Dalacin T (topical treatment) or Tetralysal capsules, or alternatively a different method with topical treatments such as Differin or Skinoren, Duac or other ointments and gels. 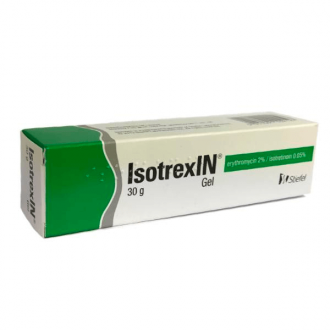 Alternatively, drugs such as Roaccutane (isotretinoin) can be prescribed by dermatologists as a last resort, if the acne does not respond to other treatments. Individuals may find that their acne responds to different treatment depending on their skin type, what causes their acne and any other skin conditions they may also suffer with. It is therefore important to try a range of treatments and give them time to have an effect to allow you to find a suitable and effective treatment for your acne. Should I stop using Zineryt as soon as my acne clears up? If you find treatment with Zineryt successful and your acne improves, you can slowly discontinue treatment after 12 weeks. This will allow you to see if your acne has been 'cured' or if you can keep it under control with an effective washing and cleansing regime. Some people may find that their acne returns and requires further treatment. If I stop using Zineryt will my acne return? It is possible for Zineryt to reduce your acne to levels where it can be controlled by cleansing alone in some cases whereas for other people they may find that their acne returns after a period of time. It is generally not advised to use Zineryt for very long periods, if your acne has cleared up you should take a break from applying the solution after 12 weeks to see if they are still required and to give yourself a break from the constantly using the medication. This is because, as with any antibiotic, your body can develop a resistance, so the treatment may become less effective after a while. Is Zineryt only effective for acne on the face? Acne is most common on the face although it does also occur on the neck, shoulders and back. Zineryt can be applied to wherever there is an overgrowth of bacteria causing acne, whether it is you face, neck, shoulders or back. I'm under 18, can I use Zineryt? The Independent Pharmacy Online Doctor service is able to prescibe Zineryt to people aged 18 years and over for the treatment of acne. If you are aged under 18, you will need to see your GP for Zineryt to ensure it is appropriate for you and your condition. Zineryt cleared up my acne but it has now come back, can I use it again? If you stop using Zineryt and your acne comes back, you may restart treatment at any point. If your condition improves then you should continue with Zineryt treatment for another 10-12 weeks however, if it is less effective during subsequent rounds of treatment you may wish to try a different acne treatment. Is there anything else I can do whilst I am using Zineryt to help my acne? As well as using antibiotic acne treatment, you should also get in to the habit of cleansing the affected areas regularly. You should wash them twice daily with warm, not hot, water using a mild cleansing agent. When washing, ensure you do not scrub the area too hard so as to irritate the skin as this can make acne worse. If you use moisturisers or make-up on the affected area, try to ensure they are non-comedogenic (oil-free) so that they do not contribute to your acne. Can I wear makeup whilst using Zineryt? Yes, you can wear makeup whilst using Zineryt. You should ensure that you wash and cleanse your face thoroughly before applying Zineryt to dry skin. The Zineryt solution should be allowed to dry before any make-up is applied to the affected areas of skin. It’s best to avoid oil-based makeup as it has been proven to be comedonal and can aggravate acne. This is because the excess oils, when mixed with the oil on the skin, can cause pores to block. Does Zineryt come already mixed? Zineryt comes as a separate powder and solution that needs o be mixed before it can be used. Once the powder and solution are mixed to form the useable product, Zineryt has an expiry date of 8 weeks from when it was made up. To ensure that your treatment reaches you with the longest expiry date possible, we do not mix the Zineryt solution before dispatch. How do I mix the powder and solution to make Zineryt? Do people normally suffer from side effects when using Zineryt? Most people get on well with Zineryt cream and if they suffer with side effects they are usually mild and appear at the start of treatment. If you do suffer with redness or stinging at the site of application, you can try reducing the frequency of application to once daily for the first week and then increase to twice daily if the side effects subside. For more information on side effects associated with Zineryt, see the 'Side Effects' tabs. Where can I find out more information about acne? The British Association of Dermatologists provide some great information for beginners on acne and it's treatment. The Acne Academy is a great charity offering help, support and information for acne suffers as well as busting a few acne related myths! What other conditions can Zineryt help? 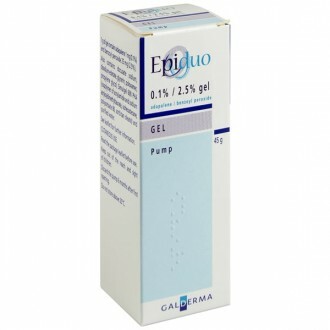 This medication is sometimes used to treat conditions other than acne vulgaris. Rosacea and perioral dermatitis (rash of the lips or eyes) are two such conditions. Consult our Online Doctor if either of these affect you. Can Zineryt be used in pregnancy? There are many ways that you can treat acne if you are pregnant. Zineryt can be used as a topical treatment, as it has no known side effects that specifically affect pregnant women. However, as with all prescriptions, if you are pregnant you should let your GP know before accepting any treatment. This medication can also be used while breastfeeding, though mothers should avoid applying Zineryt to the chest area in these instances. Does Zineryt help acne scars? Zineryt works by effectively killing the bacteria that are the root cause of acne vulgaris. It does not directly help with acne scarring, though it can certainly prevent scarring and marks from occurring by treating acne. Can this medication bleach clothes? Zineryt has a distinctive smell, but it does not bleach your clothes. This makes it suitable for use throughout the day, under clothing, or at night while you sleep. There is no evidence to suggest that Zineryt affects the natural aging process of the skin. Why does this medication contain zinc? The zinc acetate in this medication is an active ingredient that is proven to effectively assist with the skin-healing process. Can I buy Zineryt over the counter? Zineryt is a prescription-only medication, meaning it cannot be bought over the counter. It can be bought online through The Independent Pharmacy following an online consultation. Can I use Zineryt for perioral dermatitis? Perioral dermatitis is a facial rash that usually occurs around the mouth. Since Zineryt lotion can be drying and is mostly used to treat acne, this wouldn’t be the recommended treatment. Something like Eumovate cream or Hydrocortisone cream would likely be prescribed instead.